Three years ago, I purchased my first home. It was a big step for me considering I was a single female living alone in downtown Baltimore, MD. Prior to purchasing, I rented in the same neighborhood for two years. While the decision to buy was the right one for me personally, it took a lot of number-crunching and serious thinking before making the commitment. 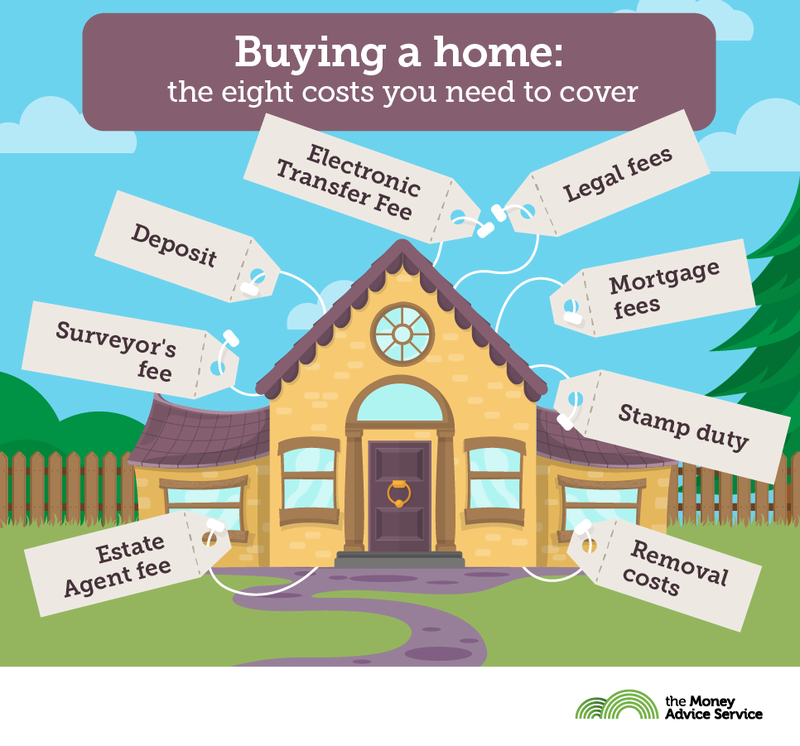 There’s no right answer when debating between renting and buying – it’s a personal decision with many factors that play a part in your final decision. The first thing I addressed was how long I planned to live in this new home. I knew if I was going to buy downtown, I needed to do it sooner rather than later because I only planned to live there for about 10 years. If you’re planning on living in your home for less than five years, studies show renting might be better than buying because of costs associated with purchasing. The next thing to address is the down payment. As a young adult, putting 20 percent down on a house is not an easy feat. Lenders are aware that 20 percent is hard, which is why they’ll help you purchase a home with possibly as little as 3.5 percent down. Even so, that can still be a hard number to reach. So, if you’re considering purchasing a home, it’s worth looking into first-time homebuyer incentives offered through your city, state and, in some cases, your employer. There are some income limit restrictions, among others, so check with a mortgage lender to see what you qualify for. If you don’t put 20 percent down on a home, be prepared to pay mortgage insurance, which will increase your monthly mortgage payment. If you’re going to keep the home for a long time and have the 20 percent for a down payment, or are opting for mortgage insurance and still want to purchase, the next step is to talk to a mortgage lender to see how much they will lend you. This will help narrow down what you can afford to pay for the house. As a rule of thumb, lenders do not loan more than 36 percent of your income. If you have car, student or credit card loans, these payments are incorporated into the monthly payment, which cannot exceed 36 percent of your income. For example, let’s assume you pay the following each month: $150 in minimum credit card payment, $300 for a car loan and $100 for student loans. That’s $550 a month in debt payments before you add a mortgage. If your salary is $50,000, than the bank will allow you to have monthly debt payments of $1,500. If you subtract your existing debt payments, this leaves you with an allowable monthly mortgage of $950. Is that enough to cover a mortgage? 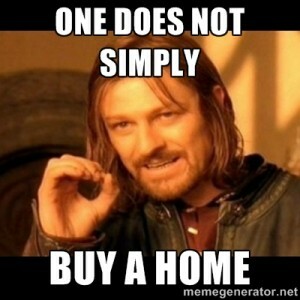 Depends on the price of your house and how much you are planning to use as a down payment. Whereas renting eliminates the need for a lender altogether and helps alleviate some of the financial stress a homeowner experiences. Your landlord is typically responsible for property taxes, insurance, maintenance and some utilities. If your roof is leaky or your hot water heater goes out, you can simply call your landlord. But if you’re a homeowner, you have to be prepared to shell out potentially thousands of dollars to fix an issue. The last thing to consider about renting versus buying depends on your job and personal relationships. If you don’t have a secure job, then locking in a mortgage payment (which must be paid on time) might not be the best option. If you’re a renter and lose your job, depending on rental agreement terms, you might have the option to live with friends or family until you get back on your feet. This is not a luxury when owning. Another thing to consider is your current personal relationship status. If you are in a long distance relationship, then owning might not be the best financial decision because there are uncertainties of where you and your partner might end up living in the long run. There have been times since I bought my house when I’ve wondered why I decided to do this. My friends have beautiful apartments with doormen, and if something breaks, they call the rental company or landlord to fix it. If something happens in my house, I am on the line to fix it with my bank account. That being said, I love my neighborhood and am happy to be here for many years; there is something nice about coming home to a house I call my own. As always, please feel free to contact me with any questions at Elizabeth.paal@LFG.com. Elizabeth Paal is a Director of Financial Planning at Heritage Financial Consultants, LLC and a registered representative of Lincoln Financial Advisors Corp., a broker/dealer (member SIPC) and registered investment advisor. Heritage Financial Consultants is not an affiliate of Lincoln Financial Advisors.